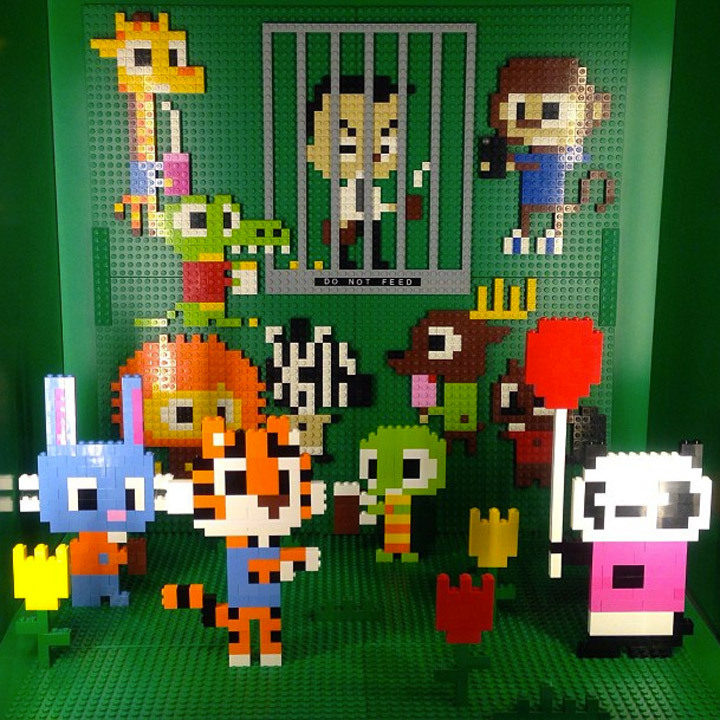 Hilary Leung and Steadibrick created this wonderful 3D mosaic window display titled “Do Not Feed.” This display is currently up in the Sherway Gardens Lego store in Toronto. It is not everyday that you see people combining a typical Lego mosaic with 3D objects, which is a shame because it can look great. As usual the pixelated 8-bit style design is a great fit with the blocky Lego. Everything is just so cute. Make sure to check out this project over at Threadless, where you can vote to see it on a T-shirt!